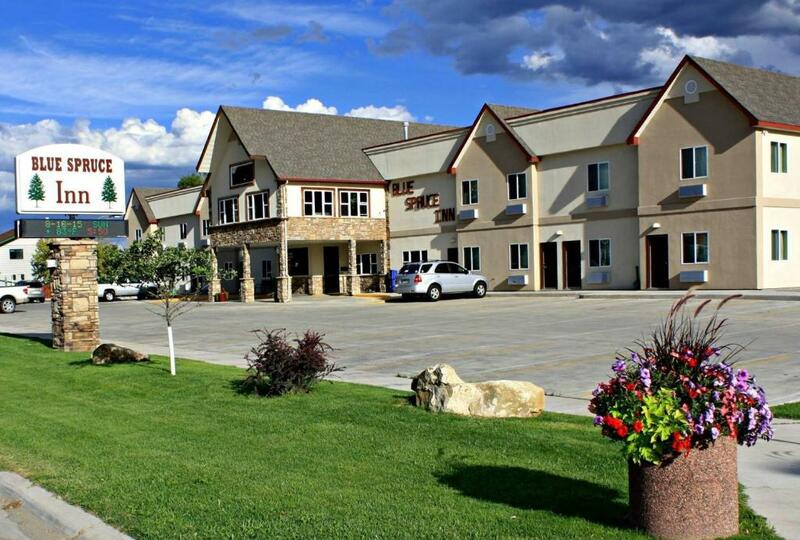 Lock in a great price for Colorado's Blue Spruce Inn – rated 9.2 by recent guests! Work able with staff! 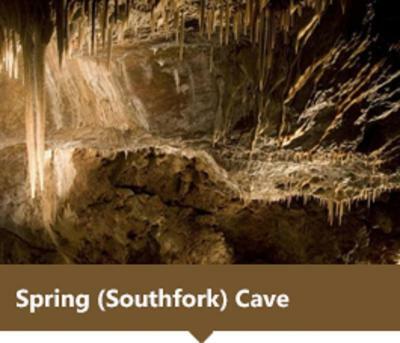 Excellent service on accommodation! Staff was very friendly and helpful . Very clean and comfortable. An amazing breakfast every morning. We arrived and were greeted warmly at check-in. Directions were provided regarding our destination for the evening, for dinner, and for the area. Our room was clean and ready for check in. The initial greeting was done in a courteous an efficient manner, the breakfasts were nice with flavored coffees, variety of choices of yogurts an pastry, also a very pleasant change, the linens were nice and fresh and Colorado crisp. 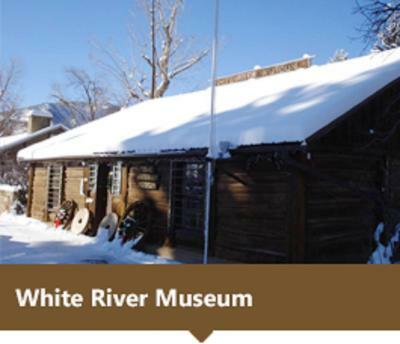 I had used the app Booking.com an changed my reservation from Rifle hotel, since we had a previous refreshing experience at Blue Spruce, visiting my family in Meeker, and plan to visit again. 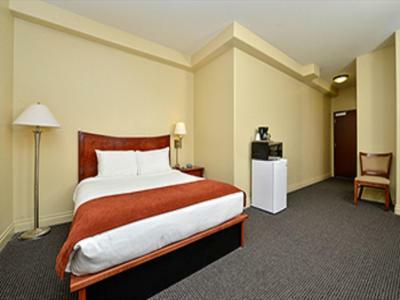 Room was very clean and staff was great. Breakfast was the best. Very comfortable bed and AWESOME breakfast with the most actual (not just bread and fruit). Very friendly staff and the hot tub was a great bonus. They served a great hot breakfast that was included in the room rate. 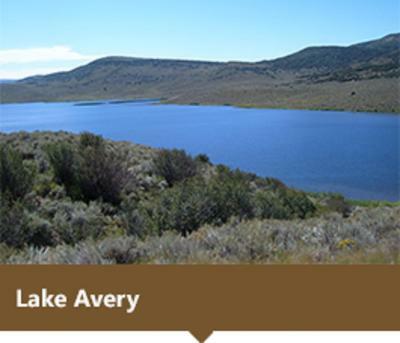 We were in town for atv'g in the Wagon Wheel Trail System and it was nice they have extra parking for vehicles with trailers. I like the hot tub. Wish it was open later than ten. 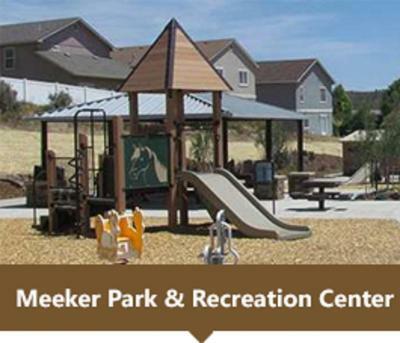 Location was ideal for visiting businesses in Meeker, very walkable. Breakfast was ok, not out standing, but good. NICE people in that town!! Very friendly to us. Rode the trails and people out there were visiting and friendly. Beautiful country. 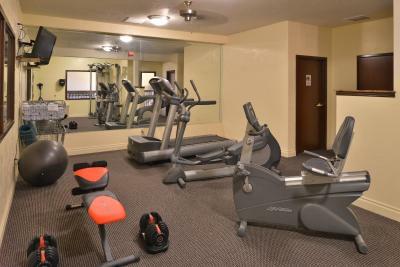 Colorado's Blue Spruce Inn is located in Meeker and features a fitness center. Featuring a 24-hour front desk, this property also provides guests with a grill. The inn provides a shared lounge. At the inn, each room has a desk. 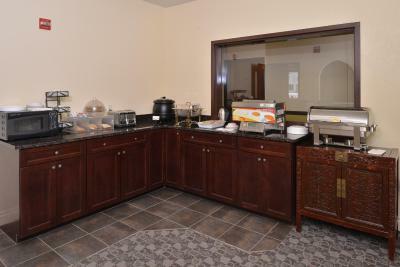 Some rooms also feature a kitchenette with a microwave and a toaster. 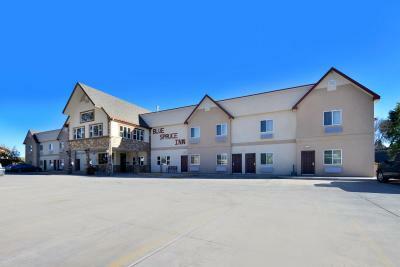 All rooms at Colorado's Blue Spruce Inn have air conditioning and a closet. 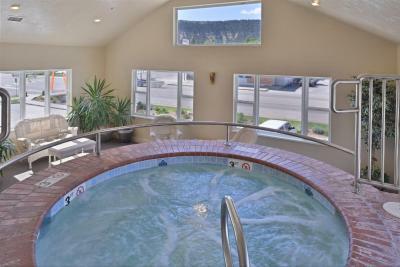 At Colorado's Blue Spruce Inn guests are welcome to use a hot tub. 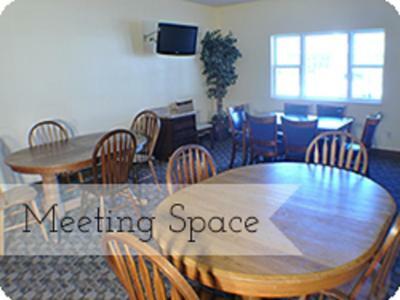 A business center and on-site meeting rooms cater for guests travelling for business purposes. Yampa Valley Airport is 68 miles away. 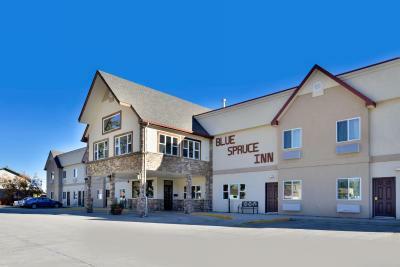 When would you like to stay at Colorado's Blue Spruce Inn? 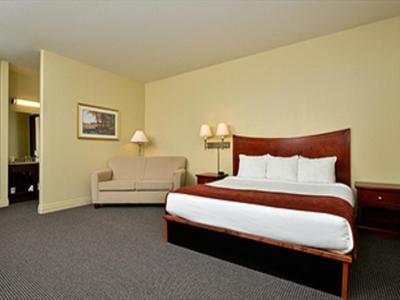 This double room features air conditioning, microwave and tea/coffee maker. 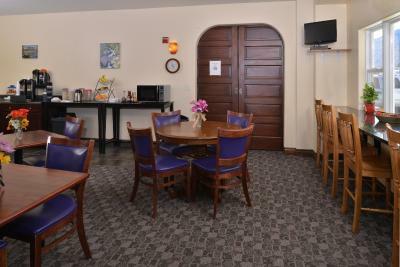 This quadruple room has air conditioning, microwave and seating area. This double room features a microwave, sofa and kitchenette. 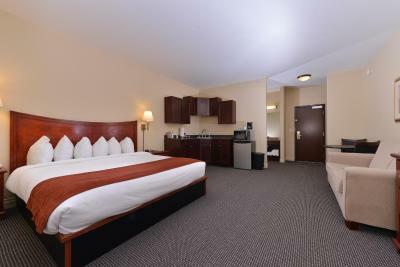 This quadruple room features a microwave, air conditioning and seating area. 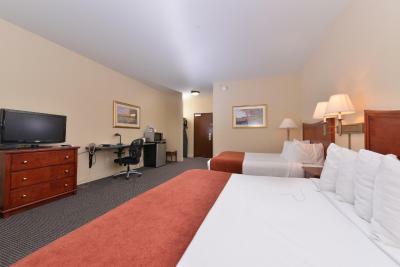 Please note that this room is pet-friendly and the pet fee is added in the room rate. 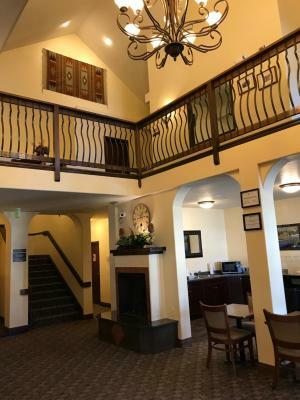 House Rules Colorado's Blue Spruce Inn takes special requests – add in the next step! 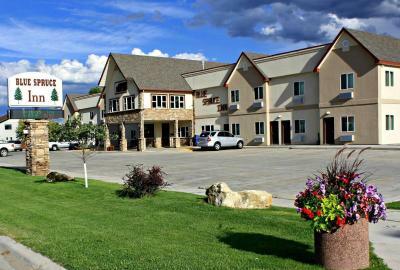 Colorado&#39;s Blue Spruce Inn accepts these cards and reserves the right to temporarily hold an amount prior to arrival. Colorado's Blue Spruce Inn accepts these cards and reserves the right to temporarily hold an amount prior to arrival. Morning clerk didnt acknowlege our presence. TV was a mini. 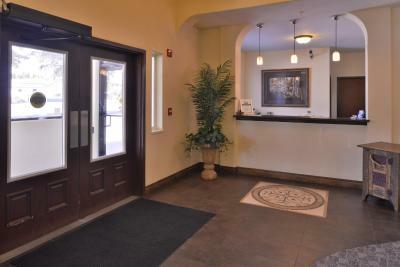 Easy access to town, and business conducted during stay. WIFI was good. Breakfast was good. They put me in the last room and once I realized I had no hot water, she told me to run the hot water for 30 min, "because I'm so far from the boiler" then I sat down on the mattress and omg, the worst ever, all you feel and hear is the springs. Iimmediately asked for another room they gave me the room next door luckily the hot water was better and the mattress was as well. Don't get #102 Also, you have to pull down and twist on the crummy mildew faucet to get the shower working. Unfortunately, you only have 3 motels to choose from, this once was the newest. Room Could have been cleaner, walls were very thin, could hear everything from the rooms on each side. Great breakfast and the hot tub was awesome. Bed was a bit uncomfortable but not terrible. Overall , our concerns were addressed effectively an politely. so well taken care of! Nice, clean large room with access from inside and out. Easy parking right outside the door. Safe and secure. Friendly welcome; easy check-in and check-out. Adequate restaurant close by (although staff there don't know about PIN numbers yet!). Breakfast covered all that you need.